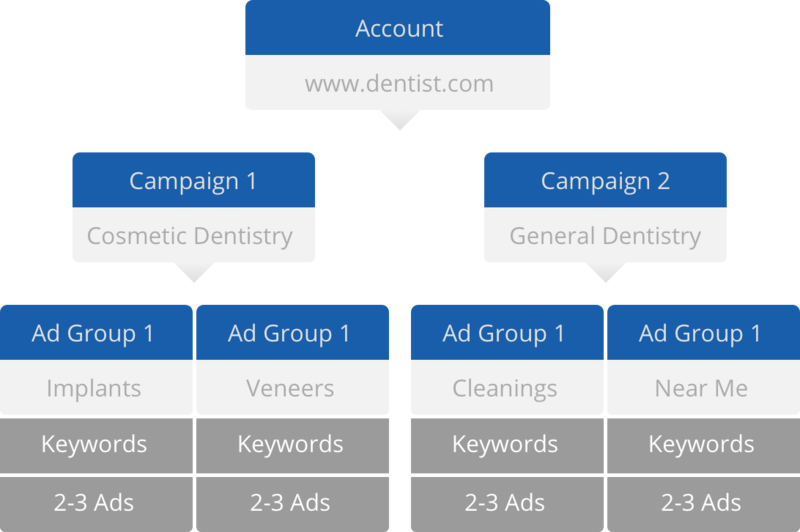 Organizing your campaigns not only helps your dental practice allocate spend more effectively, it also improves quality scores. Improved quality scores then give your practice better pricing on click bids. Each campaign should have a specific theme or target a particular service. If your dental practice has multiple locations, you may want to set up a separate campaign for each location. See the example listed below. According to Search Engine Land, local searches lead 50% of mobile visitors to visit stores within one day. Increasing your campaign’s mobile bids ensures that your dental practice will be displayed at the top of local search results for those searching via mobile phones for an office like yours right now. Negative keywords allow you to filter out search terms that are closely related to the keywords you are targeting, but not quite right for your offering. For example, an orthodontic practice wants to target those searching for “braces in Denver.” The practice is obviously referring to orthodontia, but that search term (“braces in Denver”) may not filter out people searching for leg braces or back braces. Those should be negative keywords. Ad extensions supplement your ads with additional information in search results. 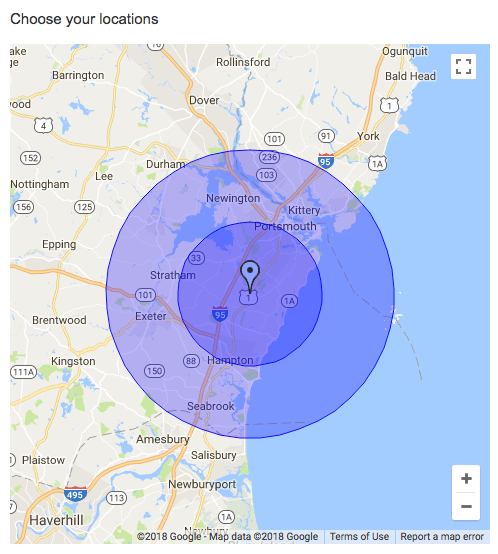 Ad extensions allow you to display information such as multiple pages, phone numbers, services, callouts, location information and more, right from the search results. On average, Google estimates a 10-15% click-through-rate increase from implementing a new ad extension, although this is dependent on the business type and other factors. Broad Match – Ads may show on searches that include misspellings, synonyms, related searches, and other relevant variations. Note: You can also use a broad match modifier, which is similar to broad match, except that the broad match modifier option only shows ads in searches including the words designated with a plus sign (+dentist office) or close variations of them. Phrase Match – Ads may show for searches that match a phrase, or are close variations of that phrase, with additional words before or after. Ads won’t show, however, if a word is added to the middle of the phrase, or if words in the phrase are reordered in any way. Phrase match is designated with “” (“dentist office in”). Exact Match – Ads may show on searches that match the exact term or are close variations of that exact term. These searches are designated with  ([Dentist]). For more information on how to run successful campaigns for your dental practice, sign up for news and insights and have them sent straight to your inbox! To speak with a dental marketing professional to see if AdWords is the right choice for your practice contact Big Buzz or call 855-Big-Buzz.